Mid-Cal Construction, Inc. is a privately held California corporation with warehousing and fabrication facilities centrally located in Stockton, CA (in California’s Central Valley, east of the San Francisco Bay Area). As marine construction specialists, we are a full service builder of superior quality docks, marinas, piers, seawalls, decks, aluminum gangways, patio covers, and gazebos. 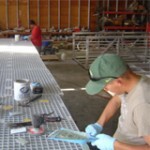 We offer a complete line of custom design, permit acquisition, fabrication, and installation services. Mid-Cal is a fully insured A-licensed general engineering contractor (CA Contractor’s License No. 280277), and has been providing construction services to residential and commercial customers since 1971. 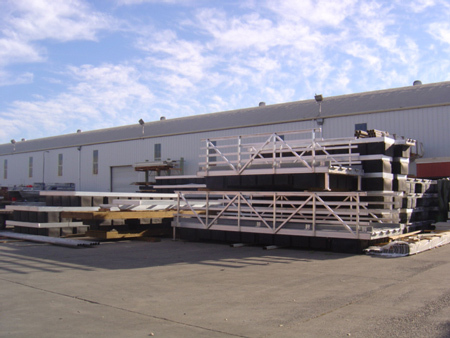 Mid-Cal typically prefabricates the major sections of our dock and marina projects at our Stockton facility, and ships the prefabricated sections to job sites throughout California for installation by our crews, or other installation contractors. This capability permits Mid-Cal to achieve the highest possible quality at a competitive rate. It also enables us to work closely with other licensed contractors in satisfying customer needs over a widespread area. Mid-Cal Construction brings innovative problem solving and cost saving solutions to each of our projects. Click here to learn about some of our recent projects. To start a project, get pricing, place an order, or to request additional information, please contact us at our main office. We would also enjoy meeting you in person. Please make an appointment before visiting. Northern California, San Francisco Bay Area, Marin County, Sausalito, Bel Marin Keys, Tiburon, Belvedere, Mill Valley, Novato, Vallejo, Napa, Redwood Shores, Isleton, Discovery Bay, Sacramento, Bethel Island, California Delta, Bass Lake, Lake Tulloch, Alameda, Foster City, Point Richmond and Lake Tahoe.